The group’s seventh record Wildness was their first since 2011 and would have been their first chart-topper since Eyes Open in 2006. 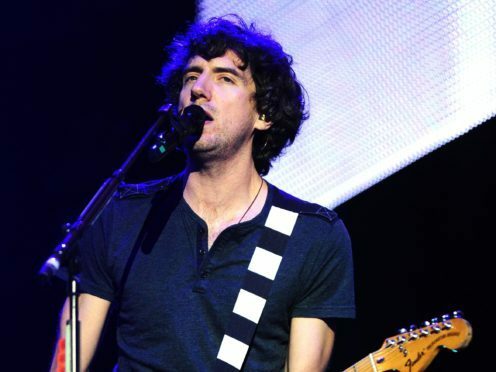 The five-piece, who are led by frontman Gary Lightbody, had been leading the race for number one of the Official Albums Chart according to the midweek chart update. However, they fell at the final hurdle as The Greatest Showman, which features the voices of actors Hugh Jackman and Zac Efron, ultimately claimed its 17th non-consecutive week in the top spot. The musical’s soundtrack was the best-selling digital download of the week and the most streamed album, according to the Official Charts Company. The second highest new entry on the albums chart was Canadian singer-songwriter Shawn Mendes’ self-titled album at number three. Arriving just behind him at number four was Scottish rock band Biffy Clyro’s new live album, which was recorded for MTV Unplugged at London’s Roundhouse venue. Scottish synth-pop band Chvrches claimed their third straight top 10 album with Love Is Dead going straight in at number seven. US rappers ASAP Rocky and Pusha T’s new albums both landed short of the top 10 at numbers 11 and 13 respectively. On the Official Singles Chart Calvin Harris set a new personal best for weeks at number one after One Kiss notched up its seventh week at the top. The DJ’s duet with Dua Lipa has now surpassed his 2011 track with Rihanna, We Found Love, which was number one for six weeks. One Kiss finished some 15,000 combined sales and streams ahead of Drake’s Nice For What at number two. Dua Lipa performed the song at the Uefa Champions League final between Real Madrid and Liverpool last weekend. ASAP Rocky had this week’s highest new entry with Praise The Lord (Da Shine) at number 29. Electronic music band Clean Bandit’s Solo, featuring the vocals of Demi Lovato, rose two places to number 10. It becomes the Cambridge group’s ninth song to chart in the top 10 and it is also Lovato’s sixth appearance there.